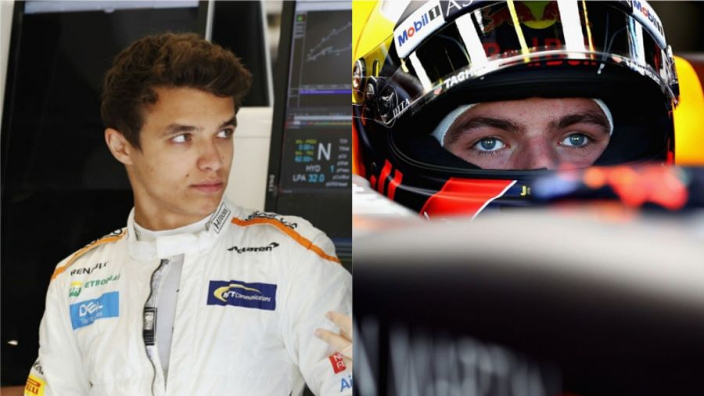 Max Verstappen and Lando Norris will be teammates this weekend after signing up to Team Redline 4X in the iRacing Bathurst 12H. The F1 stars are the most renowned players of the racing simulator game, which pits users against each other in packed online fields. The Red Bull and McLaren F1 drivers are not the only notable names involved in the endurance race, with BMW Motorsport works driver Nicky Catsburg and Atze Kerkhof completing the four-man Redline 4X squad. Team Redline will enter another team, named SR Boost, comprising World's Fastest Gamer turned McLaren simulator driver Rudy van Buren, 2018 Supercars runner-up Shane van Gisbergen, Team Redline's Ben Cornett and Justin Ruggier. Both Redline teams will drive BMW Z4 GT3 models. Cars also in action include the Audi R8 GT3 LMS, Mercedes AMG GT3, Ferrari 488 GT3, McLaren MP4-12C GT3, Porsche 911 GT3 Cup. MORE: Max Verstappen hits iRacing rival!